The story of an American werewolf in corporate New York, Wolf shows promise as a metaphor for adults, but then loses its edge by insisting on following the childish werewolves-on-the-loose path. Respected book editor-in-chief Will Randall (Jack Nicholson) is bitten by a wolf after a car accident in the snowy Vermont mountains. Back in New York, Will finds himself a victim of a corporate shuffle. Tycoon Raymond Alden (Christopher Plummer) is the new publishing house owner, and he demotes Will and assigns young and hungry marketing executive Stewart Swinton (James Spader) into his position. Will's life hits rock bottom when he discovers his wife Charlotte (Kate Nelligan) having an affair with Stewart. But Will also starts to feel the after-effects of the wolf bite: his senses are amplified, he feels younger, more vigorous, and more aggressive. He meets Alden's daughter Laura (Michelle Pfeiffer), an aloof heiress, and starts to plot his revenge to reclaim his job and make Stewart and Charlotte suffer. But then Will starts to lose control of what is happening to him at night, when the werewolf within him emerges and goes hunting for blood and adventure. A brutal murder is then committed, and Will emerges as a suspect. Directed by Mike Nichols, Wolf tries to appeal to two distinct audiences and by doing so fails them both. The first half displays promise as an analogy of the need for an emotional rebirth to survive middle age trauma, as Nichols explores the symbolism of Will discovering and then adopting wolf-like tactics to fight for his patch of the corporate and relationship jungle. But once the film transitions in its second half to actual werewolf adventures, howlings in the night, wolves hunting deer and eventually murder and mayhem in Central Park, it veers sharply away from its intellectual premise. With this heavyweight cast there is nothing to be gained chasing special effects, blood, gore and werewolves battling each other, complete with incompetent detectives attempting to solve murder-by-wolf. Mayhem caused by werewolves has of course been done before many times, and with much better horror and special effects, including in 1981's An American Werewolf In London. By insisting on chasing the thrill-seeking audience Wolf loses its purpose and surrenders the cerebral advantage. 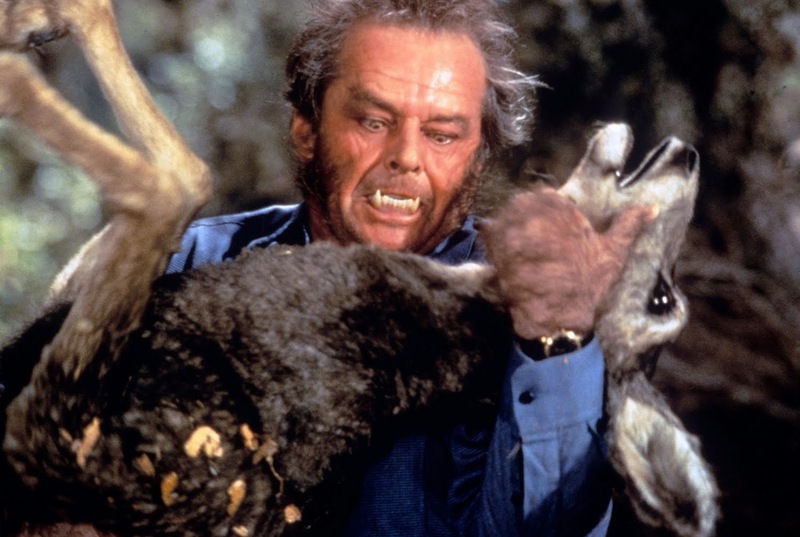 Casting Jack Nicholson as a wolf is almost too easy, but he does a fine job adopting a more-is-less philosophy. Nicholson keeps Will sharp but low-key, and remains remarkably calm even when the werewolf transformations start. Laura Alden is an interesting but underwritten role, and Pfeiffer can't do much with it. More effective is Spader as the power-hungry Stewart Swinton, a shrewd natural wolf in man's clothing. Wolf ends up being not scary enough, not gory enough, and not smart enough, as it howls at the moon of confused objectives.